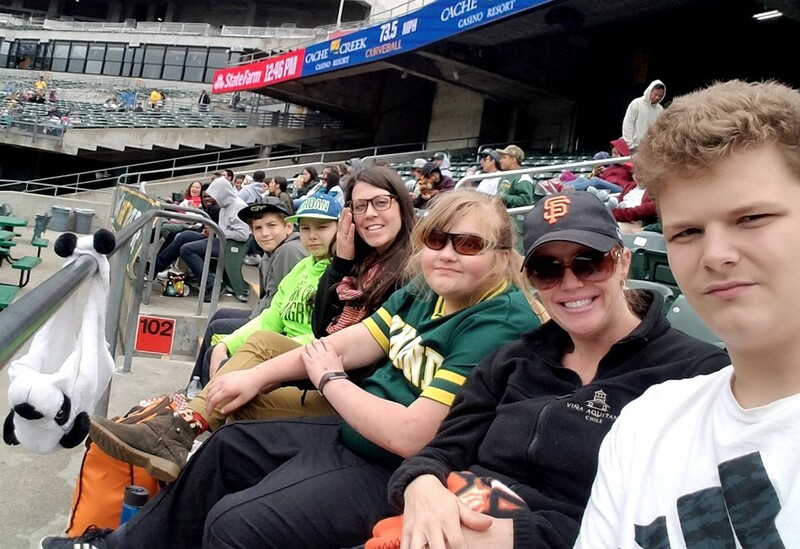 Four students earned a full day of fun going to a recent Oakland A’s baseball game. 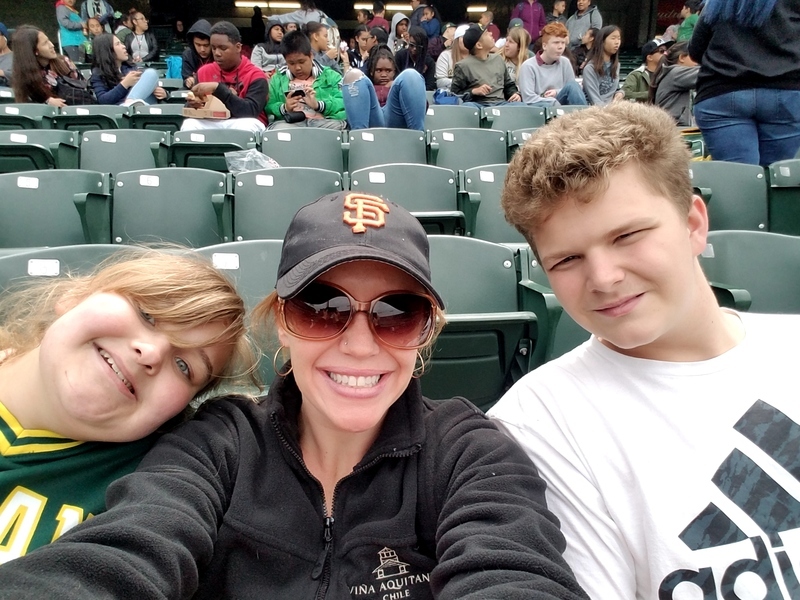 Kayla Ellsworth, Andrew Galvan, Trenton Drummond, and James Pilley went on the A’s game field trip from the Mesa and Nelson Access classroom. The classroom uses a fun, level-system to challenge and reward students for model behavior, and these students were motivated! 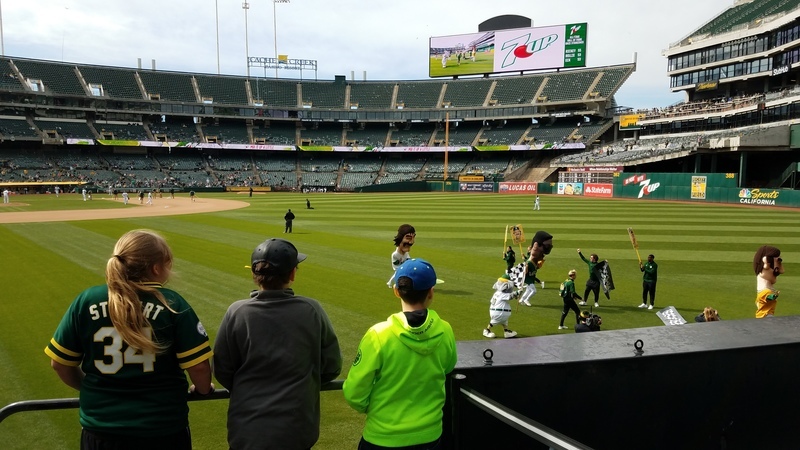 After hearing about the Oakland A’s field trip, they all worked hard to go to the game by earning points in their class for daily positive behavior, safe choices and academic completion. 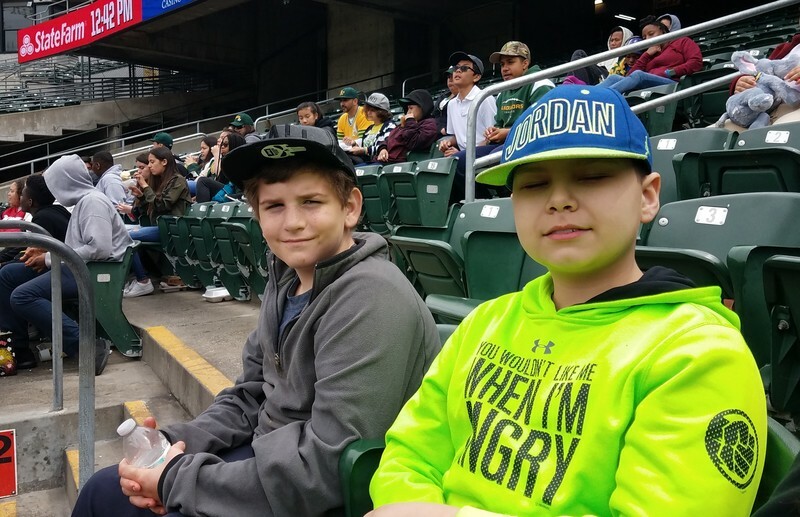 These four demonstrated safe, respectful, focused and responsible choices during the three weeks leading up to the game and two students earned a field trip for the very first time! 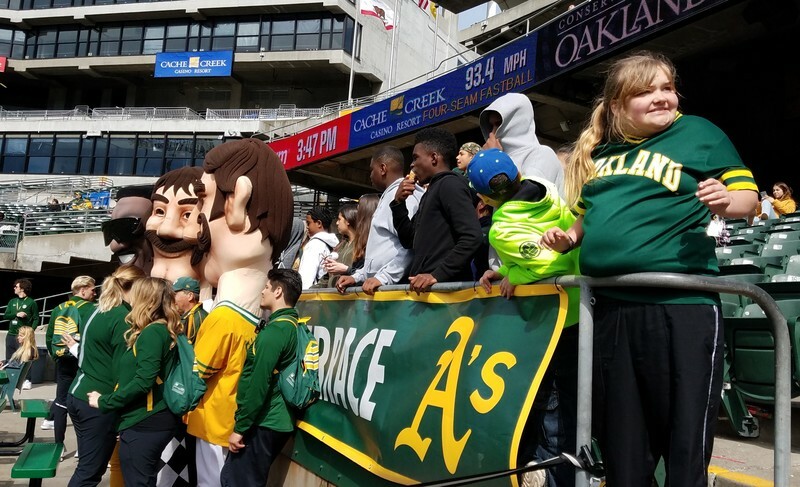 Hats off to these four, wonderful kids who worked hard and earned this exciting trip!